Applications are open for the United Nations Information Service’s Graduate Study Program 2019. The Graduate Study Program provides an opportunity for participants to deepen their understanding of the United Nations system through first-hand observation and study. 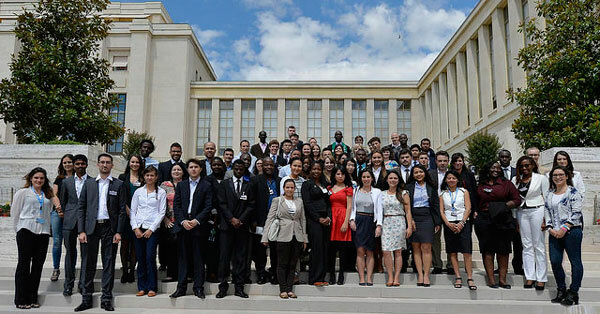 The Graduate Study Program is held at the United Nations Office at Geneva each year during the month of July. A copy of the applicant’s passport A letter of recommendation (in English or French only) from a university or governmental authority; Proof of current enrolment (at the time of application) in a Master’s degree program or a postgraduate degree program (or equivalent) and university diplomas obtained. For more information, visit UNOG. Each year, as part of the educational outreach programs undertaken by the United Nations, the Information Service at Geneva organizes the Graduate Study Program. This seminar provides an opportunity for outstanding graduate and postgraduate students from all over the world to deepen their understanding of the principles, purposes and activities of the United Nations and its related agencies through first-hand observation and study at the United Nations Office at Geneva. The 57th Graduate Study Programme will be held at the Palais des Nations from 1 to 12 July 2019. It will comprise lectures given by senior members of the United Nations and the Geneva-based specialized agencies. The GSP theme for 2019 will be: 100 years of multilateralism: taking stock and preparing the future. Participation in the program is free. The United Nations does not make any financial contribution towards the travel costs and residential expenses of participants. Governments or universities may offer grants to selected candidates. Candidates should seek advice from their universities on this point. Proof of current enrolment (at the time of application) in a Master’s degree program or a postgraduate degree program (or equivalent) and university diplomas obtained. For more information, visit UNOG.